Use packing materials to pull a prank. Here are a few examples of harmless dorm pranks you may want to consider. One prank you can play on someone is to wait until they go into the shower area and swipe their clothes (and keys if you are feeling particularly mischievous). The object of your prank will be stuck wearing a towel in the dorm hallway until his or her roommate comes back. Some versions of this prank involve taking the person's towel as well. Be warned, though: This may lead to the person getting creative and wrapping the shower curtain like a toga. The individual may also plot revenge on the pranksters, so you will need to watch your back after the fact. Another prank you can play is if the shower is operated by a diverting mechanism on the tub spout. Find a way to jam the diverter into the "up" position; a small object can be used for this purpose. Taking this step means that the water will start to spray from the shower head as soon as the person turns it on. If you are able to position the shower head to point where they will be standing at that point, they will get drenched with an unexpected blast of cold water. Here's an example of another dorm prank that involves waking someone up to an unfamiliar noise. You may want to save this one for a person who has a private dorm room. Take a battery-operated alarm clock and set the alarm to a time in the middle of the night. Then hide it in the person's room. They will be awakened by the sound of the alarm, and have to get up to try to find out where it's coming from.For an interesting variation on this prank, take the alarm clock and put it into a zipped plastic sandwich bag. Then visit your friend in their room and ask to use the bathroom. While you are using the facilities, take the alarm clock and put it into the toilet tank. Once the alarm clock goes off, the person will need some time to figure out where the strange noise is coming from. They aren't likely to look in the toilet for the source of the disturbance. This example is one that you can try when the object of your prank is planning on being in their room for a while. It's easy to do, and completely harmless. 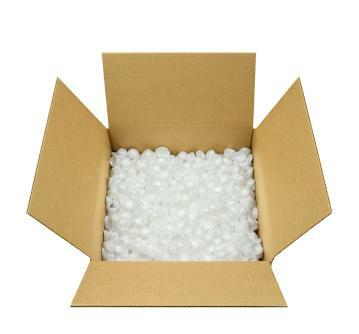 You will need some newspaper, tape, and a large quantity of Styrofoam packing "popcorn." The dorm room door needs to open inward for this prank to work. You take the newspaper and tape several sheets together so that you have enough paper to completely cover the surface of the door. Leaving a 12" gap at the top of the door, tape the newspaper in place from the floor to the top. Then fill in the space with your packing materials. Once the prank has been set up, knock on the person's door and wait for them to open it. As they do so, their room will be filled with popcorn! You may need to make a quick exit at this point. When you are thinking of harmless dorm pranks, stick to those that the object of the prank can have a good laugh over, too. Remember, you may be on the receiving end of a similar prank yourself!